Several years ago I saw this stereocard photo in an online auction. 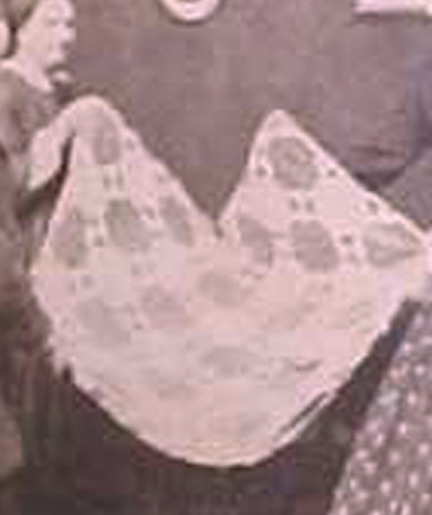 picture was taken in the 1860s. 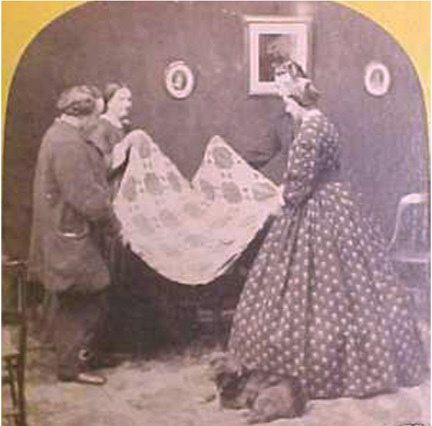 I found the photo the other day and enlarged the quilt to see what they are admiring. square with the corners cut off. and not scrappy. So I colored it in pink and brown in EQ7. 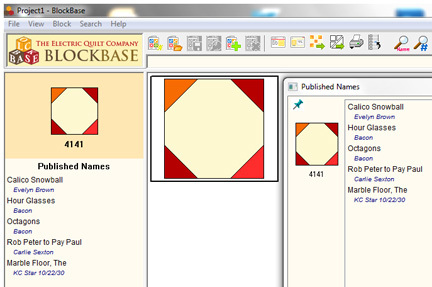 an index card, the second index card in the top row of buttons in BlockBase. 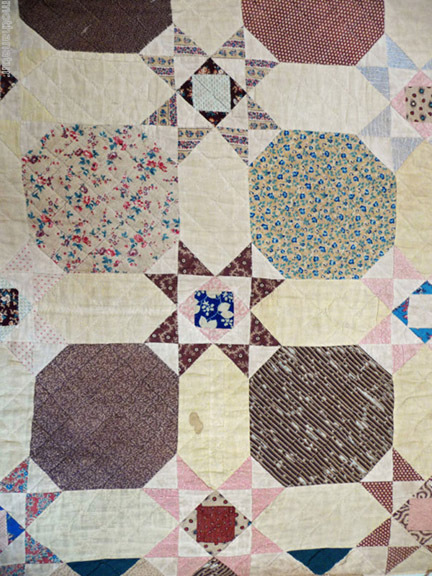 I found this circa 1860 quilt done in madders and Prussian blue. It is the same block but not shaded in counterchange fashion---every center is dark. 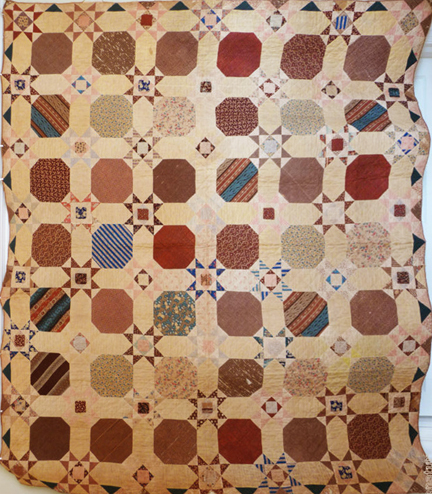 And there is a pieced sashing that forms a star. A design wall would come in handy with that sashing. 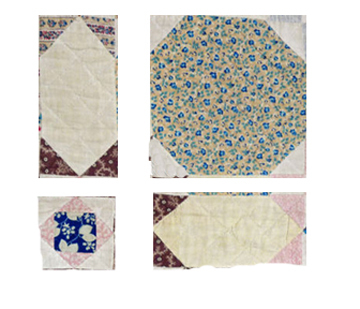 I was inspired to try to figure out the pattern by the show of quilts in photos from Janet Finley's collection that is up at the International Quilt Study Center and Museum. 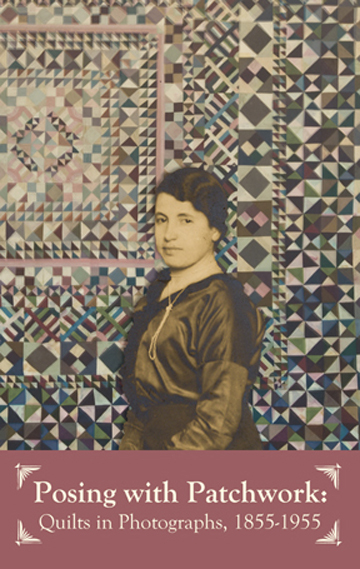 Posing With Patchwork Quilts: Quilts in Photographs 1855-1955 is at the museum in Lincoln through December 1, 2013. You will see they have found a quilt in the pattern for each photo. It always amazes me how beautiful the ladies did considering the poor lighting and materials they had to use.